"Announcement of the resolution of the mystery of the hypothetically missing dark energy of the universe, the meaning of Einstein’s cosmological constant and a revision of Einstein's iconic equation: E = to become where the 22 maybe interpreted as the compactified dimension of the bosonic string theory of strong interaction (26 - 4 = 22 where the 4 are Einstein's space time dimension and the 26 are Veneziano's space time dimension)." - Click to enlarge. "Experimental verification of the golden mean in quantum mechanics is a major step forward to a complete vindication of E-infinity and golden quantum field theory." Professor El Naschie erwähnt seine Unterstützung für Ahmed Shafik und warnt vor den unerwünschten Effekten die ein wirtschaftlicher Aufschwung unweigerlich mit sich bringt. Golden mean and quantum mechanic ?????? ?????? ? ??????? ??? ?Die E-infinity Theorie von M.S. El Naschie wurde jetzt experimentell bestätigt. El Naschie hat als Erster die Paradoxen der Quanten Mechanik auf den Goldenen Schnitt und die ihr zugeordneten Goldenen Fraktale zurückgeführt. Dies geht aus den neuerlich verkündeten Resultaten des Helmholtz-Zentrums, Berlin hervor. 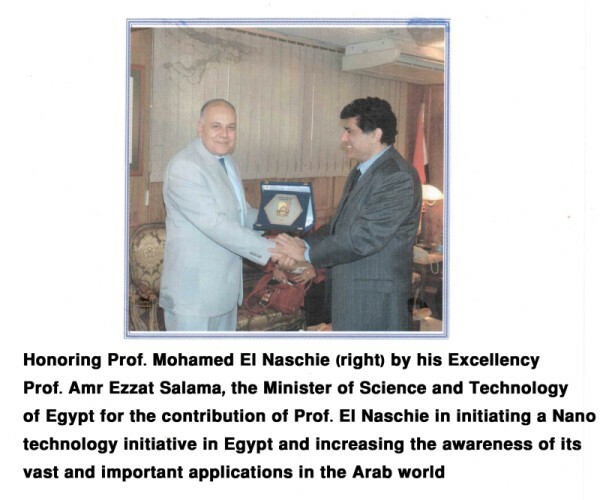 PROFESSOR EL NASCHIE AT THE UNIVERSITY of FRANKFURT. 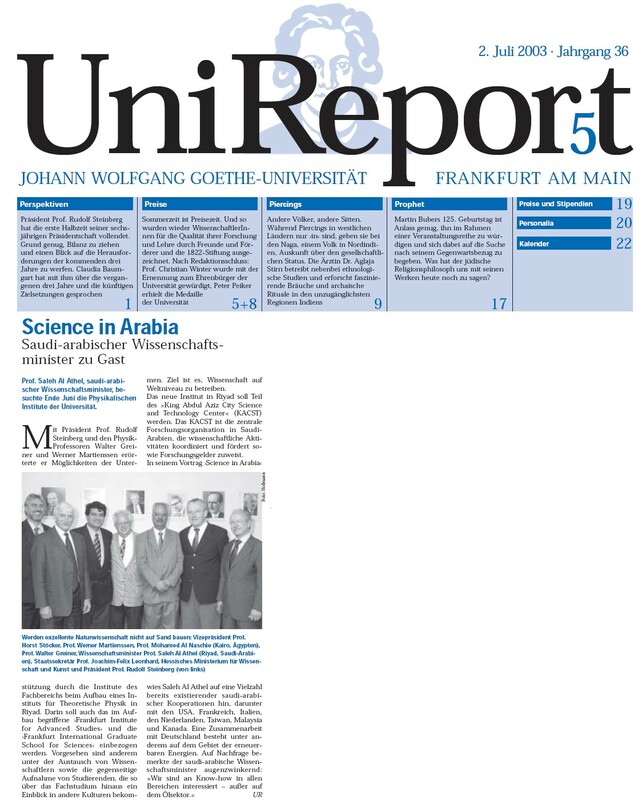 Professor El Naschie together with the German Minister for Culture Dr. Joachim-Felix Leonhard and the Saudi Minister for Science and Technology Prof. Saleh Al Athel in the University of Frankfurt. Present are also the President of the University of Frankfurt, as well as Professor Walter Greiner, Professor Werner Martienssen and Professor Horst Stöcker. University signing the contract for Research and Development in 2007.